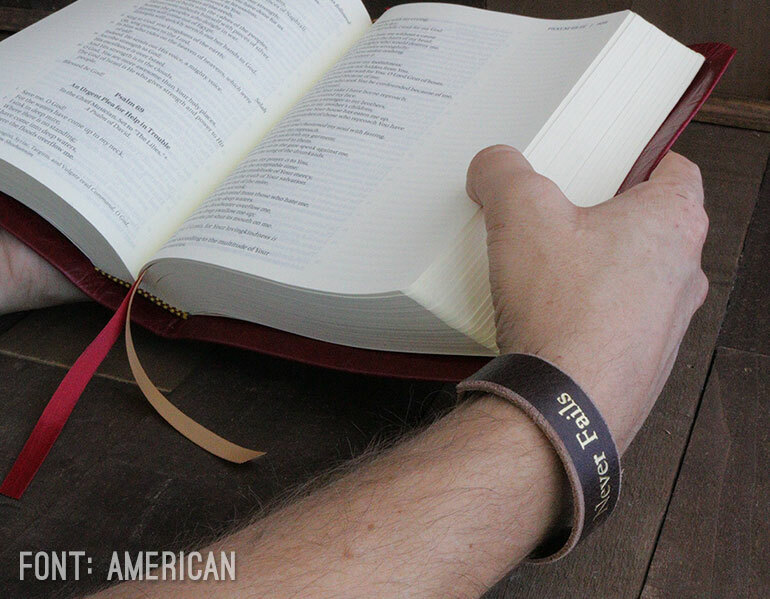 Have your custom text stamped on our genuine leather bracelets. Tell us what you would like stamped. 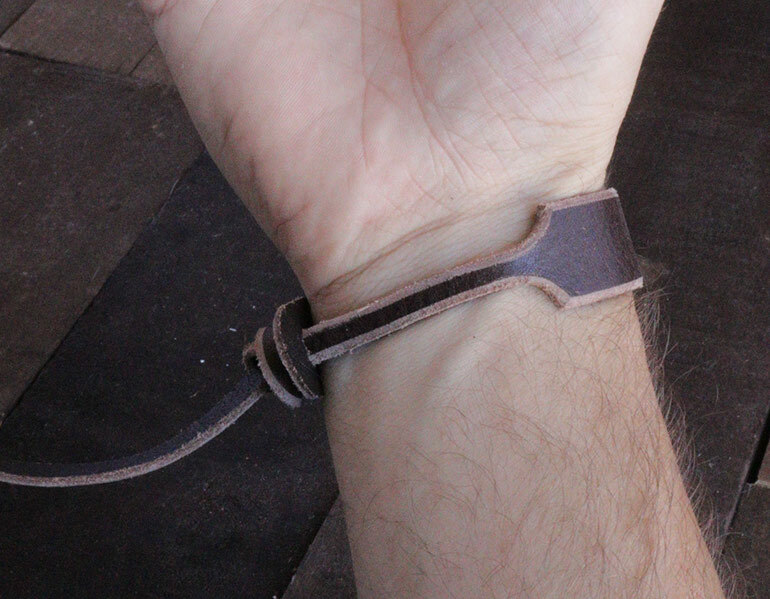 Our one-size-fits-all leather bracelets come in three colors: tan, brown, and black. 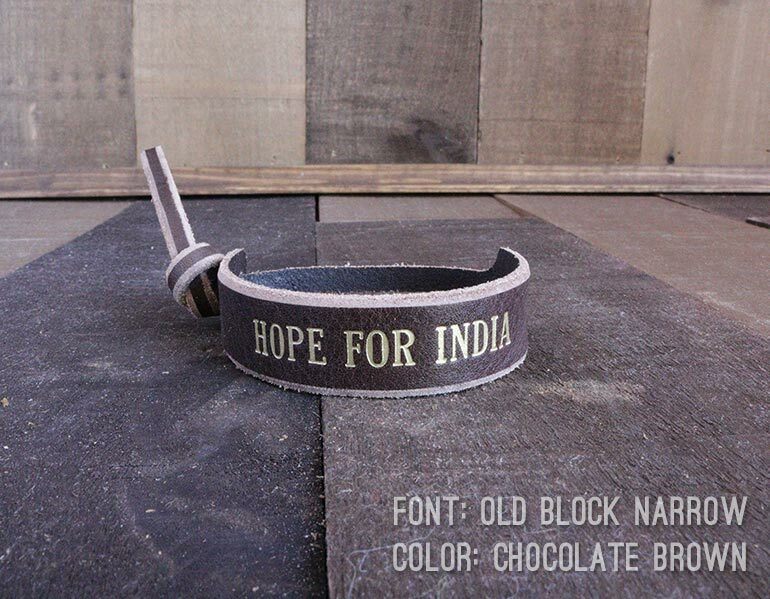 Each bracelet is 100% vegetable-tanned leather, stamped and crafted right here in our shop in Jacksonville, FL. For Stymie font (i.e. 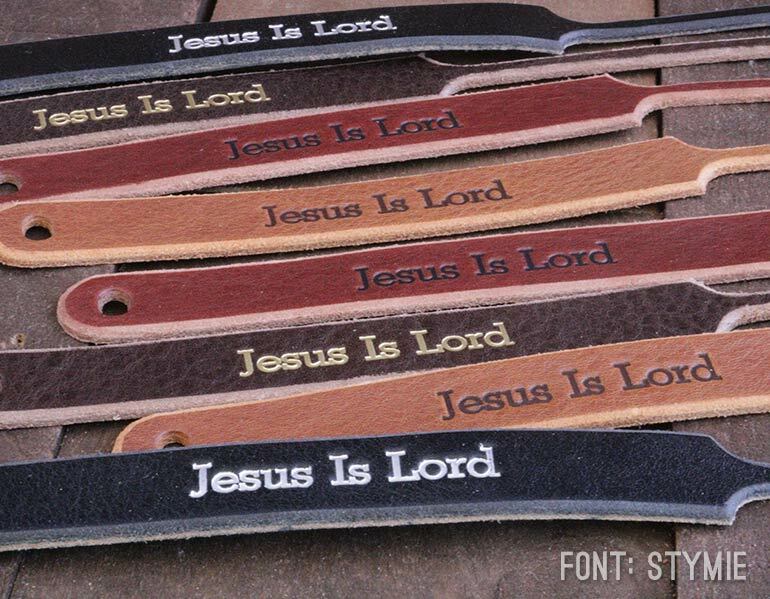 “Jesus Is Lord” in photo) no more than 25 characters including spaces. For American font (i.e. 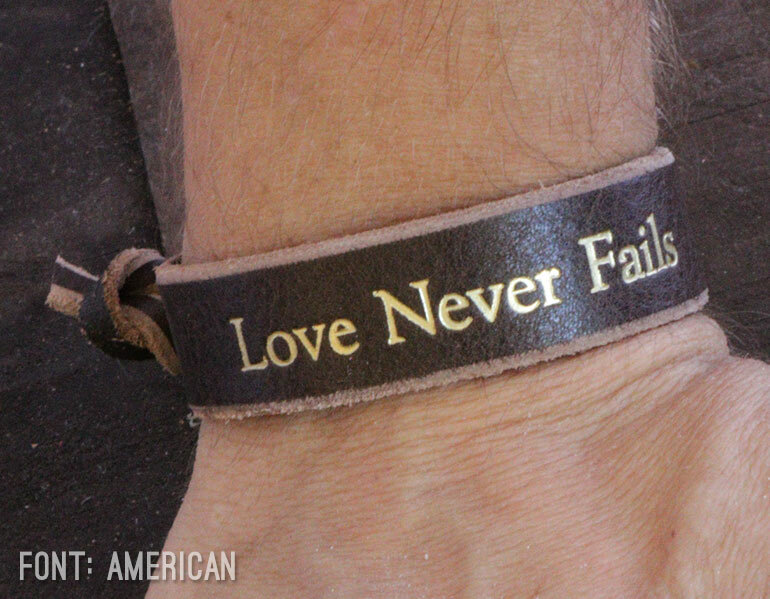 “Love Never Fails” in photo) no more than 25 characters including spaces. For Old Block Narrow font (i.e. 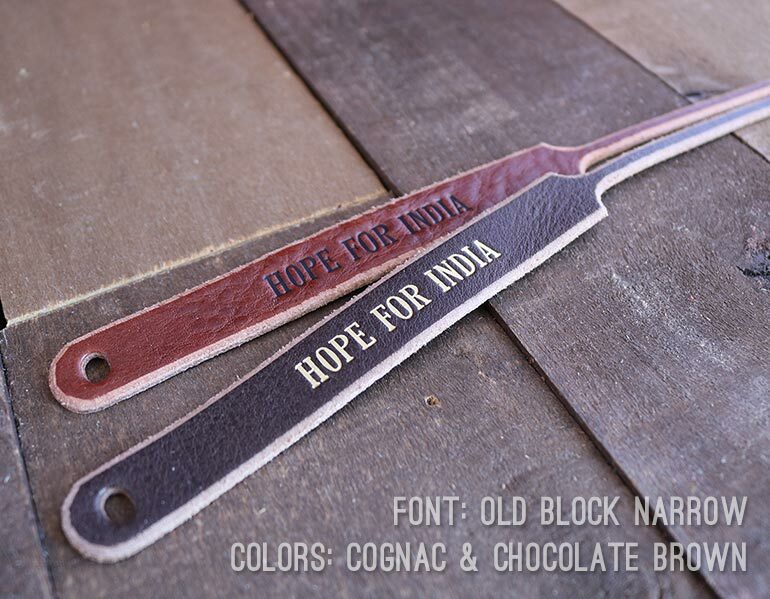 “HOPE FOR INDIA” in photo) no more than 20 characters including spaces. 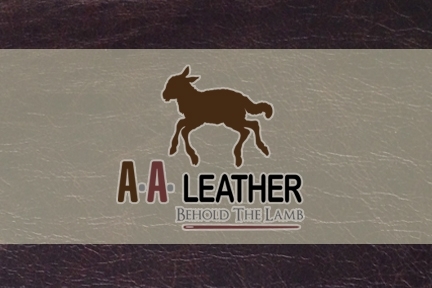 What better promotional product for your business or cause than a leather bracelet? Flyers and business cards get lost or thrown away. 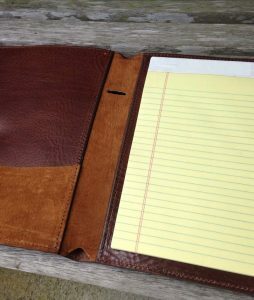 But genuine leather? Yeah, that’s not going to end up in the trash!